Apple - Here I liked the shapes that both surrounded the apple and pointed you to it. Great composition.Your shapes are very formal and clean. 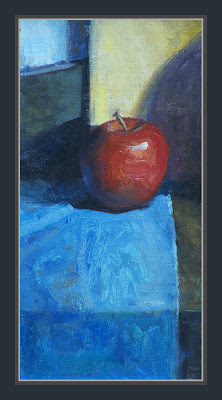 And I like the blue contrasting the red of the apple.